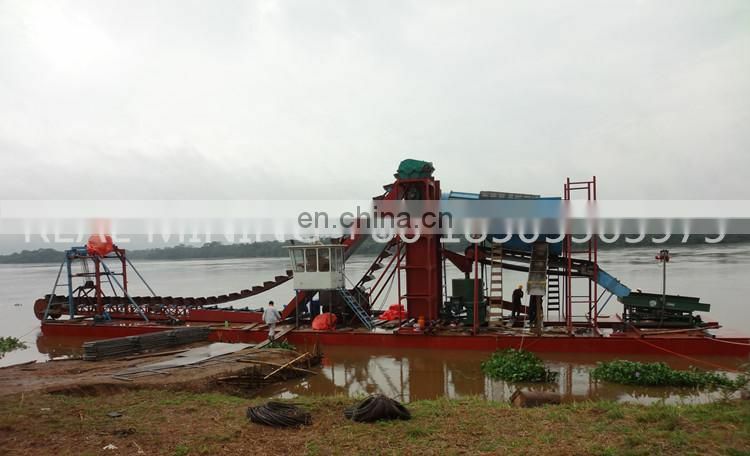 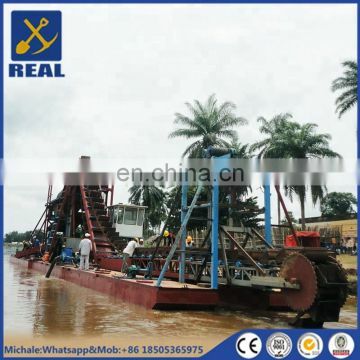 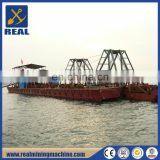 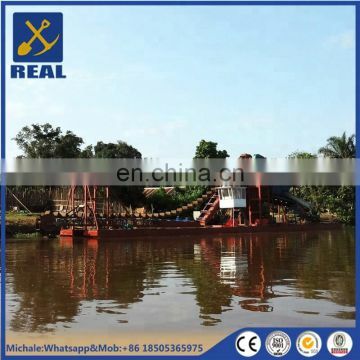 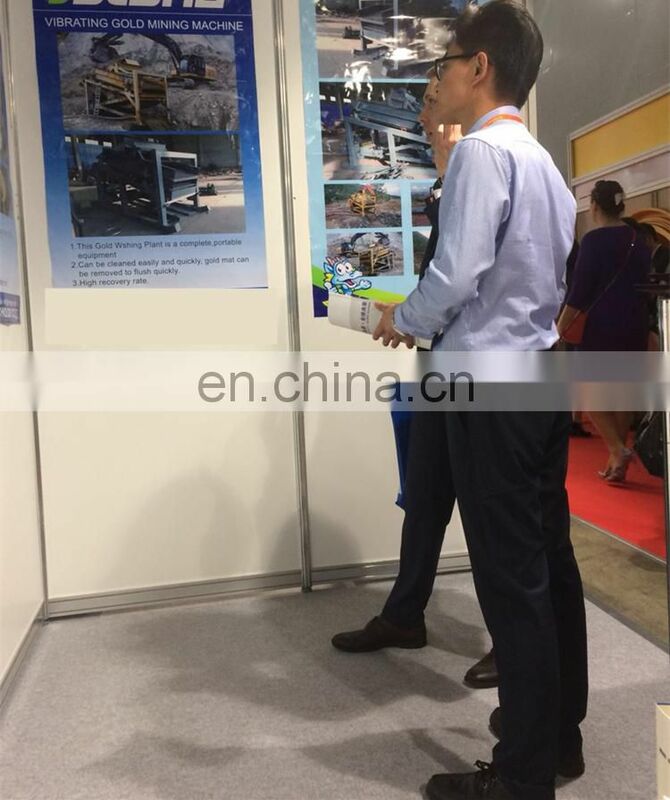 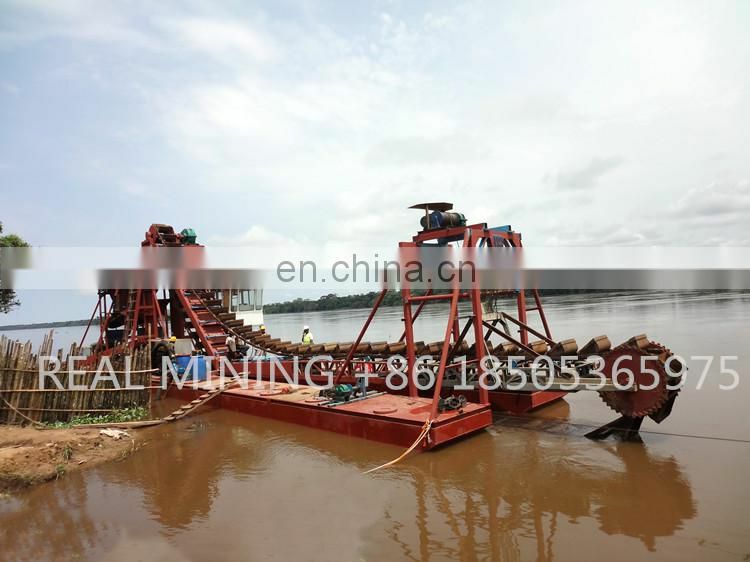 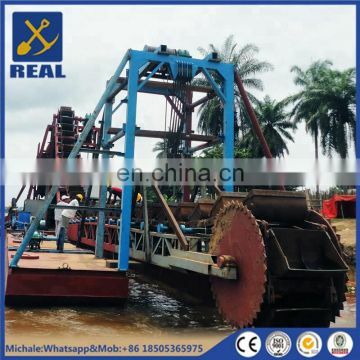 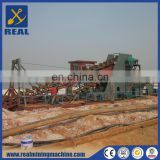 This dredger is non-self-propelled, chain bucket type gold mining dredger, the hull adopts the assembly type box structure.It is equipped with a bridge hoisting device, a five anchor positioning device and a chain bucket device, screening device, gravity separation equipment, and tail transport equipment, etc. 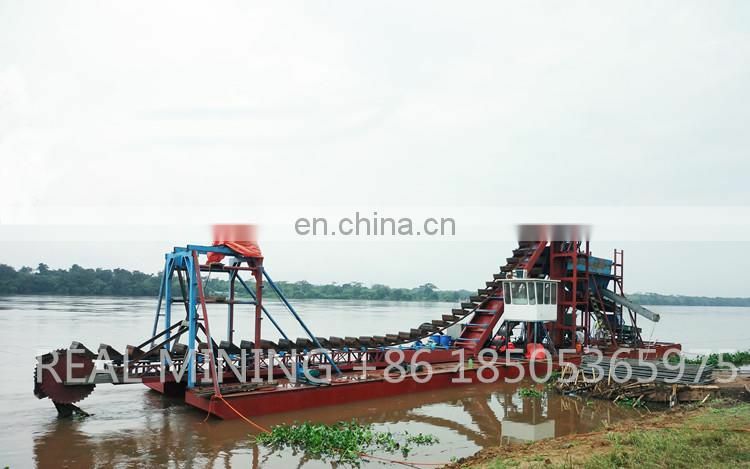 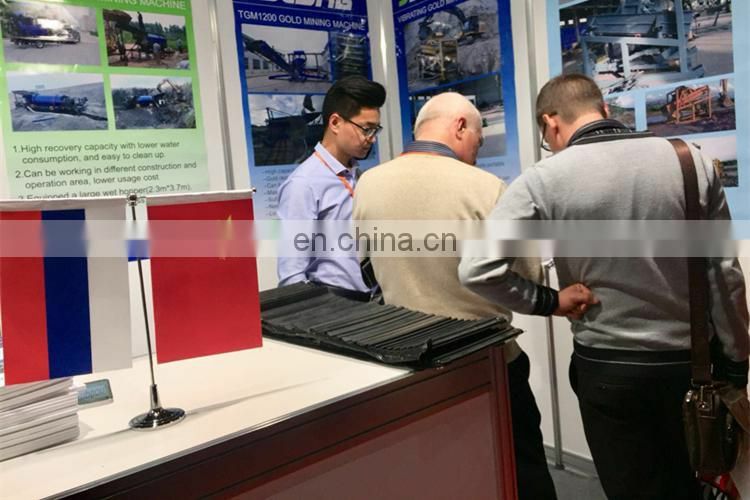 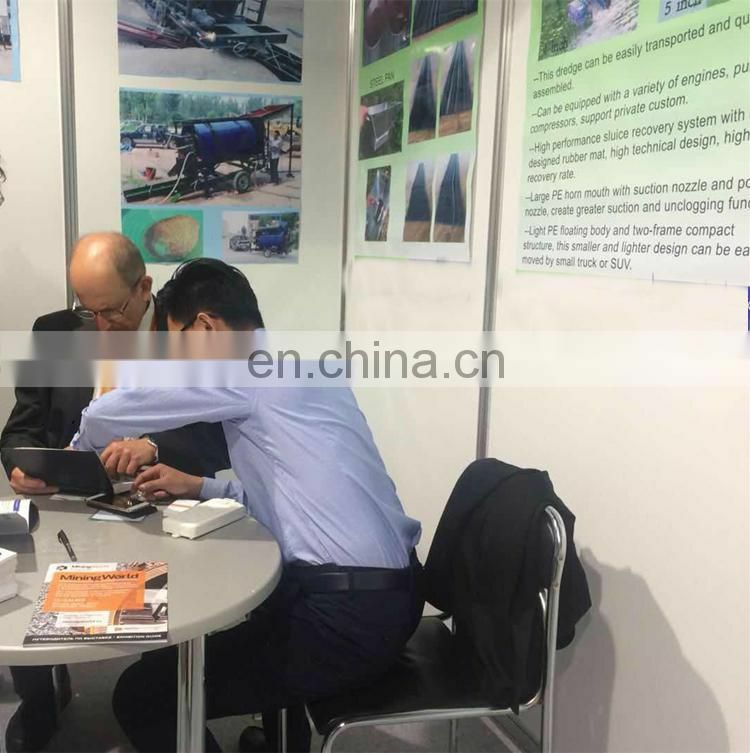 The chain bucket is driven by the decelerating engine of the motor.The generator set provides all electric power, lighting and other electricity on the dredger. 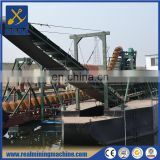 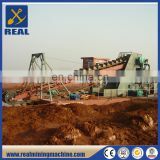 The forward winch, the bridge winch are all driven by the reducer. 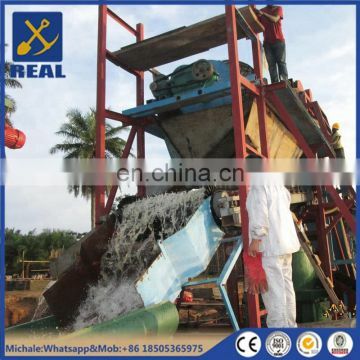 Step 1: it is recommended that a water jet centrifuge is used for enrichment, which is expected to enrich about 90% of heavy metals. 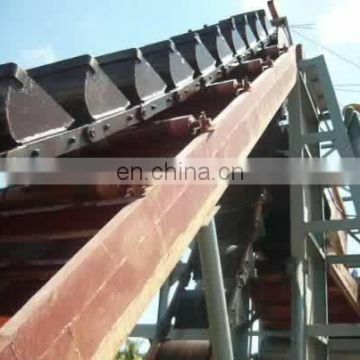 Step 2: The tail of the enrichment is added to the secondary enrichment of the sluice box. 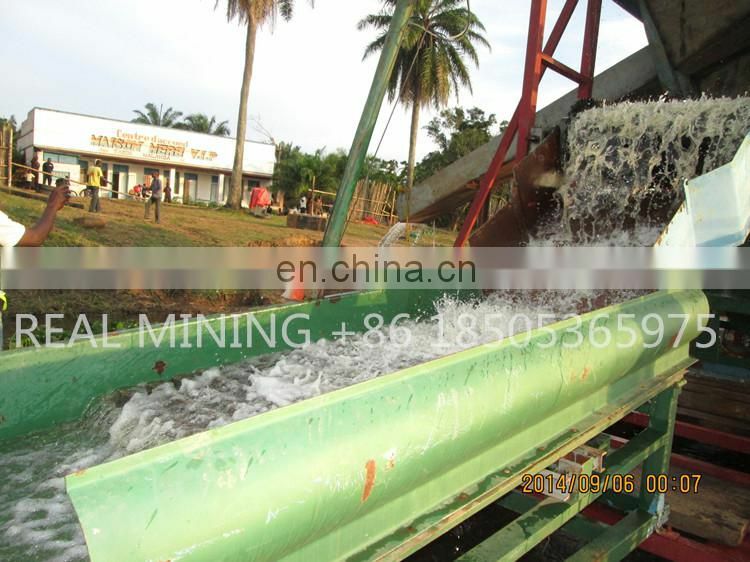 Since most of the heavy metal has already been enriched by the centrifuge, the sluice box can be cleaned 1-2 times a day. 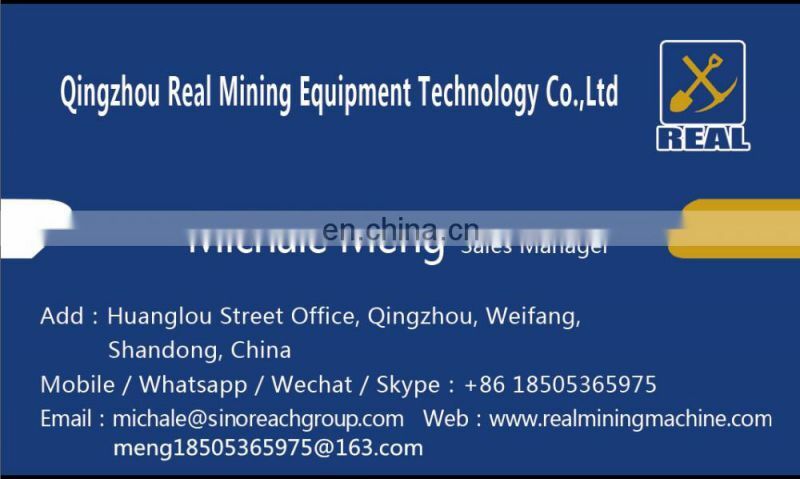 7*24 hours service, please feel free to contact me !